Be the first to share your favorite memory, photo or story of Nell. This memorial page is dedicated for family, friends and future generations to celebrate the life of their loved one. Georgetown historian Nell Morris Cribb died Tuesday, March 26, 2019 at her home on Front Street in the city’s Historic District. She was surrounded by her most precious accomplishment, her family. A celebration of Miss Nell’s life will be Saturday, March 30, 2019 at 11 a.m. at First Baptist Church in Georgetown. Officiating will be Dr. Ted Sherrill and Rev. Keith Wall. Burial will follow in Sampit United Methodist Church Cemetery. 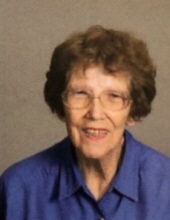 As per her wishes, visitation will be Friday, March 29, 2019 from 4 to 8 p.m. at Miss Nell’s home at 308 Front St. in Georgetown, and at other times at the residence. Surviving are two daughters, Cammie C. Steele of West Columbia, S.C. and Vickie C. Tompkins of Georgetown; four grandsons, Sam Steele and his wife Haley of Indian Land, S.C., Ben Steele of Charlotte, N.C., Michael Steele and his wife, Darla of Johnston, S.C., and Daniel Steele and his wife Lindsey of Simpsonville. Miss Nell’s oldest grandson, Bradley Tompkins, died in August of last year. She is also survived by five great-grandchildren, Ava Steele, Beckett Steele, Mykah Steele, Jack Steele and Hank Steele and one sister, Ann McDaniel of Highlands, N.C. and many nieces and nephews, as well as every student who ever walked the halls of Winyah High School. Miss Nell is the daughter of the late Edgar Cleveland Morris and Dosia Trisvan Anderson Morris. She was born January 12, 1931; one of 12 children. She graduated from Winyah High School in 1947 with extended educational courses through Coastal Carolina University. For her efforts Miss Nell was presented the Indigo Award, the highest award given by the City of Georgetown for outstanding contribution and service to her fellow citizens, and her leadership and diligence to improve the quality of life in Georgetown. She also received the Georgetown County Chamber of Commerce Tourism Award. Marsha Newcomb remembers Miss Nell as being the first person to welcome her to Georgetown. “Across the back fence, Miss Nell said quite Southernly ‘Welcome to Georgetown.’” Simply put, Nell Cribb loved people and loved welcoming them to the third oldest city in the state. Dressed in period costume, she would amp up her soft voice to share the history of the place she called home, the place she loved so much. On Miss Nell’s front porch there is a sign that reads “Life is better on the porch”. And she took this to heart. Most any afternoon you could ride down Front Street and Miss Nell would be sitting in the swing, waving at everyone who came by. It didn’t matter if she knew them or not. She welcomed many visitors to Georgetown as they walked by her home. But the efforts put forth by Miss Nell did not stop at the Georgetown County border. She was presented one of the State of South Carolina’s highest awards for humanitarian service. The Order of the Silver Crescent was presented in 2016 by then-Governor Nikki R. Haley. She was recognized as one of the top 13 women in the state by then Governor Carroll Campbell for the Commission on Women for her leadership role in the state. She received the Georgetown Chamber of Commerce President’s Award for outstanding support of community activities. She was named Career Woman of the Year for Georgetown County for distinguished service to her church, community and career. Miss Nell also received the Sons of Confederate Veterans Woman of Appreciation Award – the highest award to be given a woman for her interest in Confederate history, her promoting of events, restoring the Confederate marker at Battery White and Memorial Day events. Miss Nell is a member of the Arthur Manigault Chapter of the United Daughters of the Confederacy and for outstanding contributions to the UDC she was presented the Winnie Davis Medal. She was among the writers who researched and wrote the history of the Front Street businesses from 1900 to 2000. The book, “A Walk Down Front Street,” received numerous awards. She was the typist on the book Tombstone Inscriptions of Georgetown County. Miss Nell was instrumental in getting historical markers for several buildings in and around Georgetown. It was through her efforts that the Winyah School on Highmarket Street was recognized by the South Carolina Department of Archives and History, and nationally. Returning to her roots at Sampit United Methodist Church, the church Miss Nell grew up in as a child, she compiled and wrote the history of the church for its 150th anniversary. Later, she is credited with getting a historical marker for the church on US Highway 17A. Also for Sampit’s sister church, Oak Grove United Methodist Church she compiled the history, culminating with this church also receiving an historical marker from the South Carolina Department of History and Archives. Nell Cribb gave God the glory for everything. She said without Him she could do nothing. She is a member of First Baptist Church and its Ruth Sunday School Class. She organized and taught the first Young Married Couple’s class. She also taught other Sunday School classes over the years. Transferring her membership from the Methodist Church, Miss Nell and her two daughters, Cammie and Vickie, were baptized together in First Baptist Church. Miss Nell is an avid collector of Coca-Cola, and for her interest she was presented the 100th Anniversary Medallion of Coca-Cola from Coca -Cola CEO Robert Gouteuza. An earlier ad campaign used the logo “Have a Coke and a Smile.” That was Miss Nell’s life. Sharing what she loved. If Miss Nell could, she would tell you to be true to yourself; never lose your identity. Most importantly, keep your focus on God and give Him the glory. Miss Nell left this earth with the same dignity in which she lived her life. Miss Nell is predeceased by her parents; brothers Rufus Morris, Clifton Morris, Dan Morris, Herbert Morris, Jack Morris, and Francis Morris; sisters , Lucille Milton, Marie McCormack, and Ide Morris. The family suggests memorial to: Sampit Unit Methodist Church, Attn: Lisa Todd, 3485 saints Delight Rd., Georgetown, SC 29440 or First Baptist Church of Georgetown, 219 Cleland St, Georgetown, SC 29440.. Please sign a guestbooth at: www.mayerfuneralhome.com. To send flowers or a remembrance gift to the family of Nell Morris Cribb, please visit our Tribute Store. Friends may also visit at the residence any time prior to the visitation on Friday. "Email Address" would like to share the life celebration of Nell Morris Cribb. Click on the "link" to go to share a favorite memory or leave a condolence message for the family.